Home Entertainment Is Joe Manganiello Playing Deathstroke In ‘Justice League’ And ‘The Batman’? Is Joe Manganiello Playing Deathstroke In ‘Justice League’ And ‘The Batman’? Affleck shared one of the most talked videos on his Twitter account. If that video is real and believed, then one of the most wanted characters in the DC Comics will be soon seen in either the Justice League or Batman solo movie or both. Now, there are speculations as who is playing that role. Is Joe Manganiello Playing Deathstroke? What do you think? Who is inside the mask? A portion of the online and virtual world believe that they have cracked the mystery and found the man behind the mask. Can you deduce with just seeing the eyeballs alone? Some of the fans and eager internet detectives have finalized him to be Joe Manganiello (Magic Mike and True Blood fame). They believe that he is Joe, the muscled hunk who has joined the DC E.U. Be like Batman and let’s discover if it is true by examining the evidence available. The first evidence is that Manganiello recently started following Justice League director Zack Snyder on Twitter. It is an evident possibility. However, Synder doesn’t follow back him as he follows only 18 people. The stronger proof is that Manganiello is currently in London where Justice League is filming. At the right time, Affleck shared the Deathstroke teaser and then Manganiello’s former co-star Stephen Moyer retweeted the photo. However, Manganiello doesn’t look like exactly an assassin to be Deathstroke in his comic-book form. He resembles like the Deathstroke played by Manu Bennett in one of the most popular TV series Arrow on the CW. 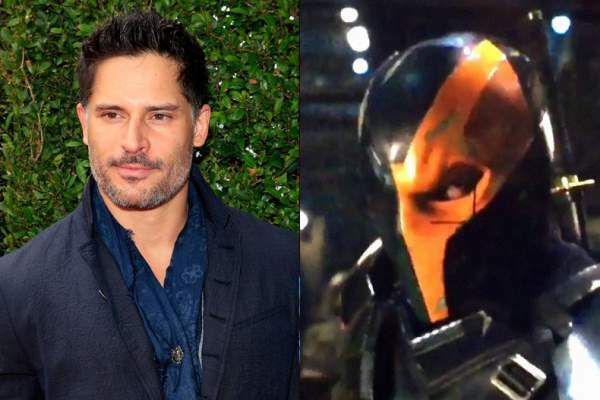 Thus, based on the above evidence, Is it quite clear that Manganiello is the new Deathstroke? We can’t be sure until and unless there is an official announcement. Until then, Affleck and Synder seem to be happy to keep us guessing the name at least for a while. Whosoever the actor is, the character and the movie will be very well choreographed, and we are sure of it.